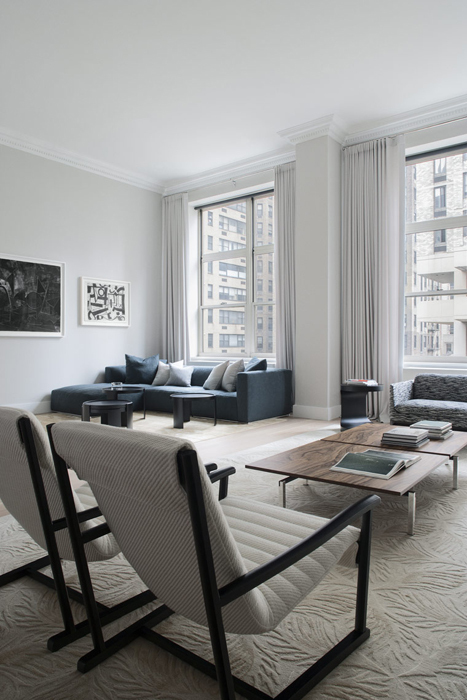 Completed in the spring of 2015, 2500 square foot Park Avenue residence embodies the studio’s signature approach. Generously proportioned, with 13 foot high ceilings and overscaled windows, the apartment was reconfigured to offer even greater living space by incorporating one of the bedrooms into the main open area. Designed for a family of four, it balances the private and the public, the formal and the informal components with clarity and ease. The tonal richness of the color palette provides a still backdrop for the Clients art collection.